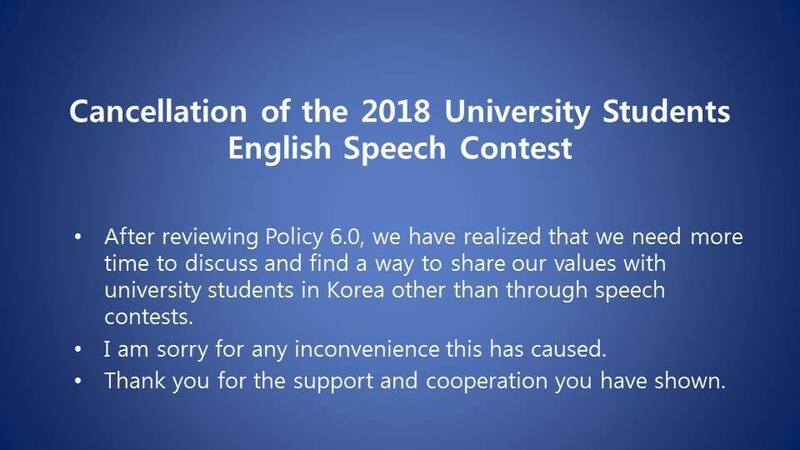 The 2018 University Students English Speech Contest has been cancelled. After reviewing Policy 6.0, we have realized that we need more time to discuss and find a way to share our values with university students other than speech contests. Thank you for the support and cooperation you have shown. 2018 토스트마스터즈 대학생 영어 스피치 대회는 취소되었습니다. 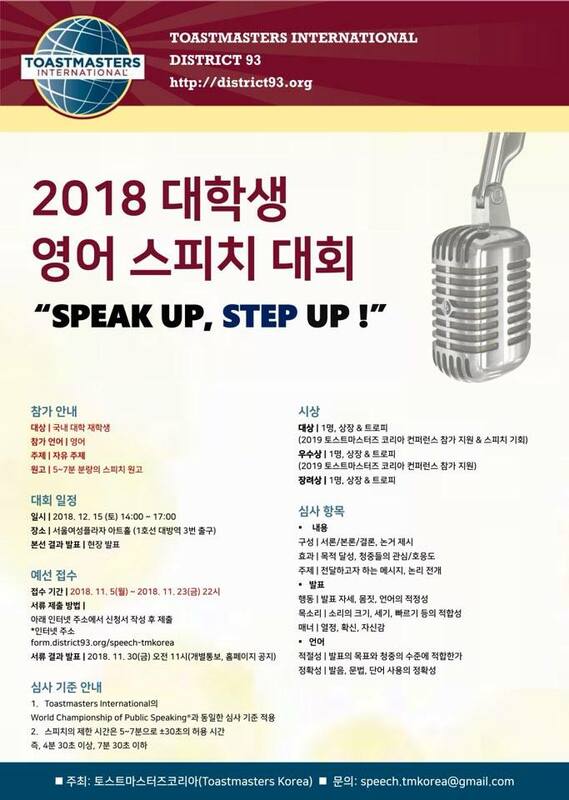 토스트마스터즈 규정을 재검토한 결과, 대학생들에게 토스트마스터즈가 가지고 있는 좋은 가치를 어떻게 알릴 지, 연설대회가 아닌 다른 방법을 논의해야 하겠기에 이번 대회는 취소하기로 하였습니다. 이로 인해 불편하신 점이 있었다면 사과 드립니다. 지지해 주시고 협조해 주신 여러분께 진심으로 감사드립니다.